When a Florida court awards spousal support or alimony in a divorce, the spouse who is ordered to make payments may be required to make payments for a short period of time or permanently. However, even in situations where a person is ordered to make spousal support payments permanently, spousal support may be terminated if the person receiving the support does certain things. One way in which an order for spousal support may be terminated is if the person receiving spousal support moves in and begins to live with a romantic partner. Along the same lines, spousal support can be terminated upon the remarriage of the person receiving payments. While remarriage may be easy to prove, it may not always be easy to prove cohabitation without marriage for purposes of terminating a spousal support order. A person who is ordered to pay spousal support is known as an obligor, and the person receiving the spousal support is known as an obligee. In order to terminate spousal support based on an obligee’s living arrangement with another person, the obligor has to prove that the obligee and the other person are in a supportive relationship. Legally speaking, the obligor has the burden of proof to show that the relationship exists, and the obligee does not necessarily have to present evidence to disprove this. Some indicators of a supportive relationship include the obligee and the person he or she lives with presenting themselves as a married couple to others, buying property together, sharing common bills, or sharing bank accounts. Some of this information is easier to obtain by the obligor and some is more difficult. In some cases, it may be possible to get information of the supportive relationship through the obligee’s social media use. The obligor only has to prove a supportive relationship exists by the preponderance of the evidence. Once an obligee’s marriage or supportive relationship is proven, a court can decide to reduce spousal support or terminate it altogether. In the case of remarriage, the spousal support that is terminated cannot be reinstated against the obligor if the obligee gets divorced. The obligee’s new husband may be required to pay spousal support. If the obligee is simply in a supportive relationship that is not formalized in marriage, reduction of the spousal support may be revisited later if the obligee leaves the supportive relationship. Asking a court to modify to terminate a spousal maintenance order is not dependent on the obligor’s past diligence in paying the spousal support. Therefore, even if the obligor has not been making timely spousal payments, he can still ask a court to modify or terminate the spousal support order. However, any modification or termination will not apply to past payments, and the obligor will continue to owe any arrears even after modification or termination of future payments. 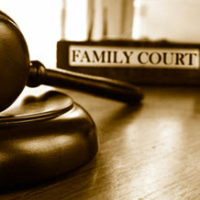 If you were ordered to pay spousal support following a divorce, and you now want to the order terminated or modified to reflect changes in your former spouse’s life, you need an experienced divorce attorney fighting for you. For more information, contact the experienced Boca Raton, Florida divorce attorneys at Law Offices of Schwartz l White for legal assistance.